Hand something to your prospects that you are 100% proud of. As a small or start-up business it is extremely important that you use sufficient promotional material to attract new prospect customers and expand your brand image. There are many effective methods of distributing your brochure in order to reach your target customers. Placing your brochure in specific places around your office will allow prospects to view them whilst waiting for a meeting. 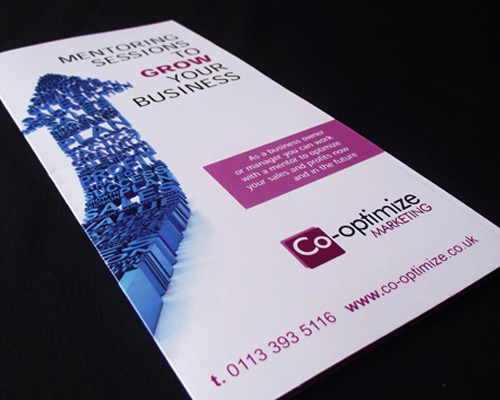 Alternatively, offer your brochure as hand outs at networking events or ask your strategic partners to hand them out on your behalf. 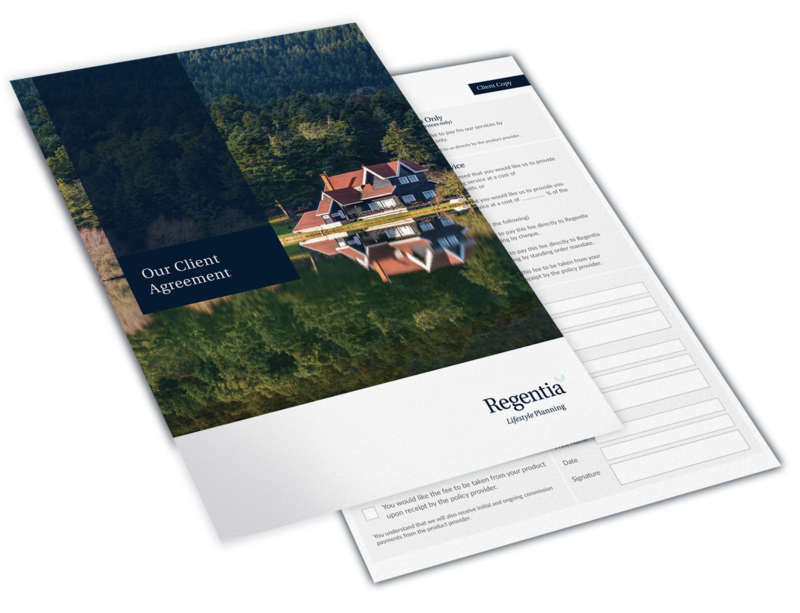 You could even use a digital version of the brochure design which could be placed on your company website or attached to email marketing campaigns. Thinking carefully about the format before starting your next brochure design will ensure that you get the best outcome that fits within your budget. At this stage you should take in to consideration where the brochure will be used and what impression it should make. Thinking outside the box from the traditional A4 portrait brochure is sure to make an impact. The content of the brochure design should engage with the intended reader and talk clearly about how your products or services can be of benefit to them. Clear call to actions are a great way to improve conversions and it’s important to try and define exactly how you want the reader to take action. Are you wanting them to pick up the phone or do you want them to take a look on your website and access some more relevant information? 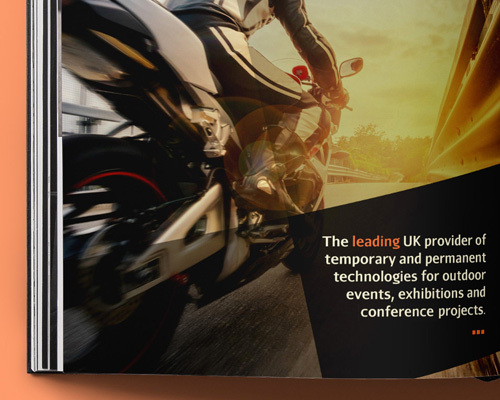 The design of your new brochure should be consistent with the rest of your branding and be easily recognisable as your company literature. Ensure that your logo design is visible on all page spreads where possible and use a consistent colour scheme that reflects your brand identity. 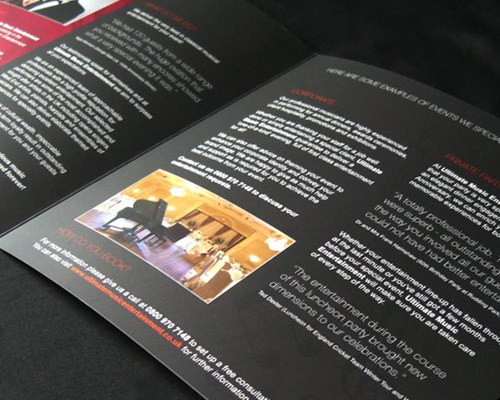 Good use of white space and key headings will help to achieve an overall professional brochure design. The way in which the brochure is printed is equally as important as the design itself. 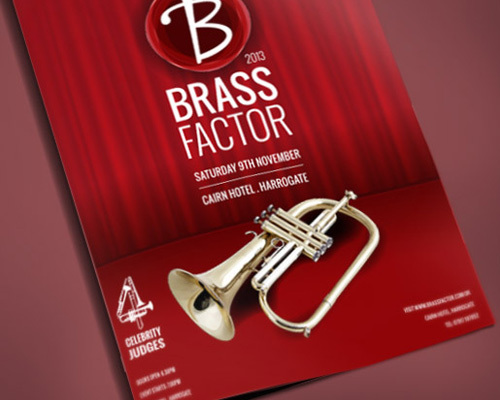 Getting the right finish for your brochure will ensure that it gives the right impression to your prospects. Think carefully about the paper stock and available specialist finishes such as spot UV, embossing and lamination to ensure that your brochure is truly unique. You may just require a simple 4 page brochure design with a small quantity of prints or it may be a large multi-page brochure design with special print finishes. Whatever your requirements, we will be able to assist your needs. Our print management service will also ensure that you receive the best possible outcome with your final prints.